DescriptionThese small-size plates are perfect for party nibbles, canapés or cakes. The plates blend a pretty pink background with rose gold foil trim and stars to create a romantic but modern look for your celebrations. Each pack contains 8 Plates, measuring 125mm. These small-size plates are perfect for party nibbles, canapés or cakes. 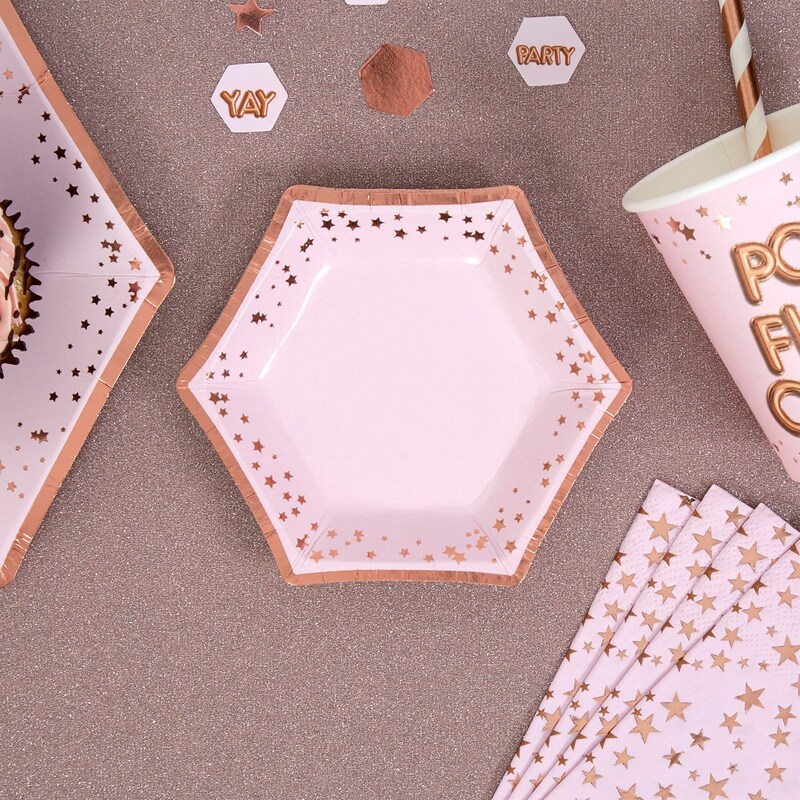 The plates blend a pretty pink background with rose gold foil trim and stars to create a romantic but modern look for your celebrations. Each pack contains 8 Plates, measuring 125mm.